If you’re like us, you have plenty of Fourth of July parties to attend this weekend, and if you’re stumped on a last minute idea as to what to bring to a cookout, try these fresh dressings for easy throw together last minute salads! These two could not be more different in origin or flavor, but they’ll have your party guests eating out of the palm of your hand…or salad bowl. This is the salad we made with the kabobs a few weeks ago. This dressing is loaded with flavor and not too unhealthy. Maybe healthier than ranch. But at least its salad, right? Disclaimers: 1)Our garden dill was in the fridge for about a week making it not as strong. You may want to cut down on this ingredient, start with a couple of pinches. Keep adding until you get the dill flavor you like! 2)For the salt and pepper we used a 1/2 teaspoon of each in the dressing. Salt and pepper the dressing to your liking! We know everyone likes salt and spice different! Directions: Mix all ingredients in a food processor until smooth. Store in refrigerator and keep cool if you are not using right away. You may need to shake / stir the dressing before serving. The oil and other ingredients get separated as it settles. This recipe makes about 1.5 cups of dressing. We used fresh garden lettuce. Any type will do! Even fresh spinach leaves would be great! 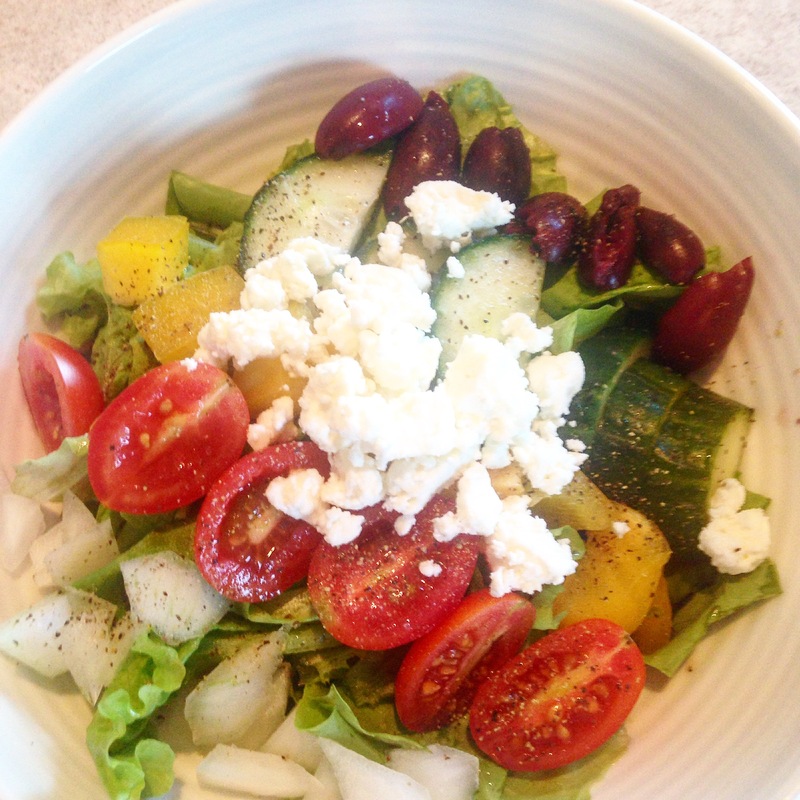 Top salad with English cucumbers, cherry tomatoes, red/yellow bell peppers, red onions, kalamata olives, and feta cheese. 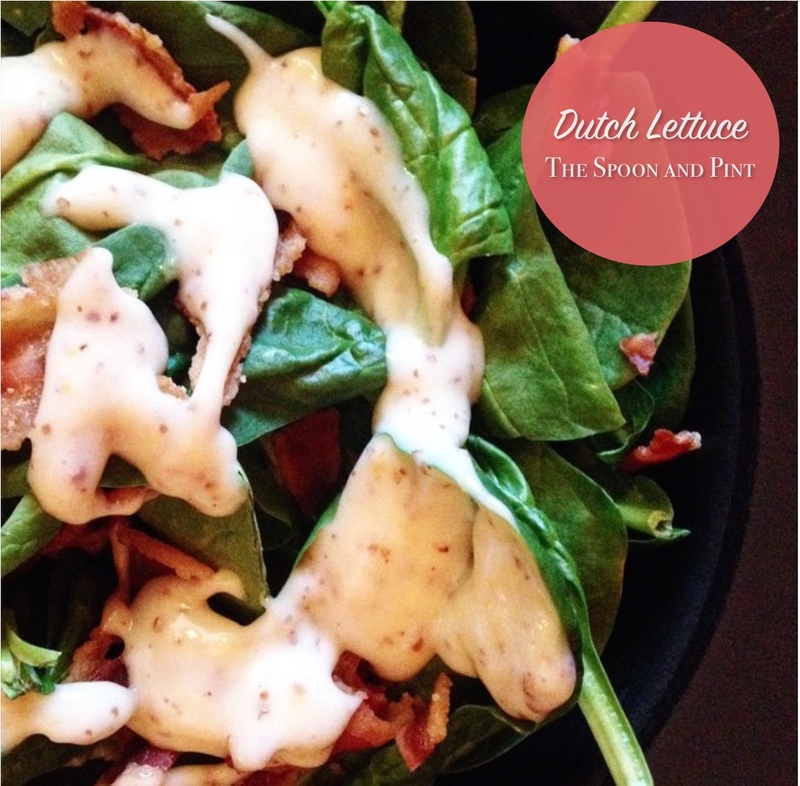 We also like to salt and pepper our salads after the toppings are on! We didn’t toss this salad, because well, look at those pretty salad toppings! Place dressing in a separate serving dish and let your guests dress their own! 1/2 pound of bacon, feel free to add more, ‘Merica. 2 teaspoons of mustard, Boetje’s stone ground is best because it’s Dutch, but any stone ground or even yellow mustard will do! Clean lettuce, place in bowl, and mix in chopped onion. Cook bacon as your normally would. Hard boil the eggs. Make the dressing out of the remaining ingredients. 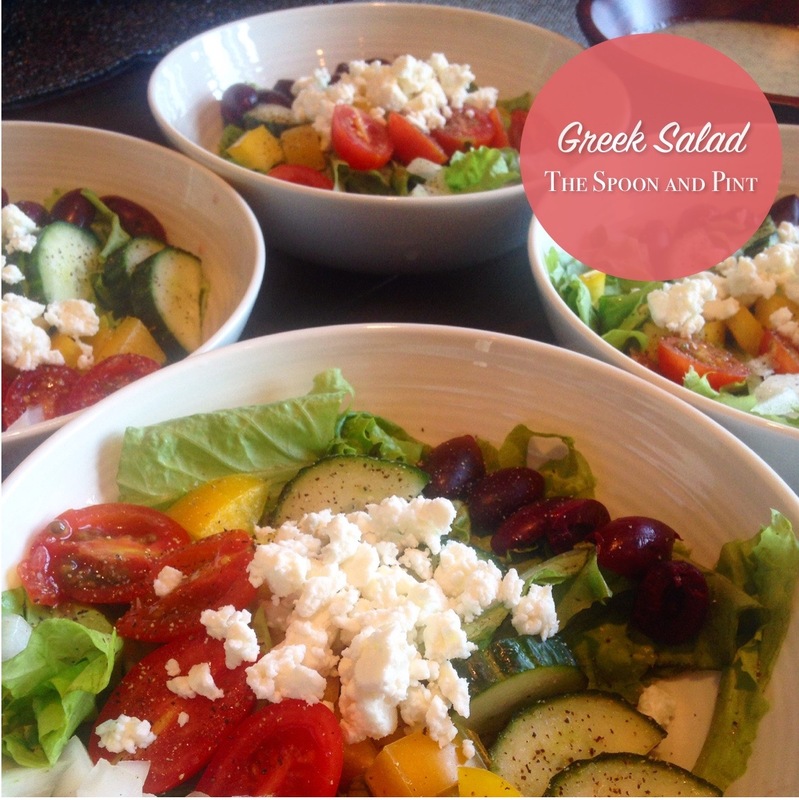 Whisk together very well, and pour on salad just before eating. Toss. How much does this make, you ask? This is why I love our small town, rural cookbooks. The amount doesn’t matter. Just know “this makes a large batch.” And in these parts, a large batch is good because you just never know who’s showing up to the party, and it’d be a real pity if they left hungry. Always best to make too much. P.S. 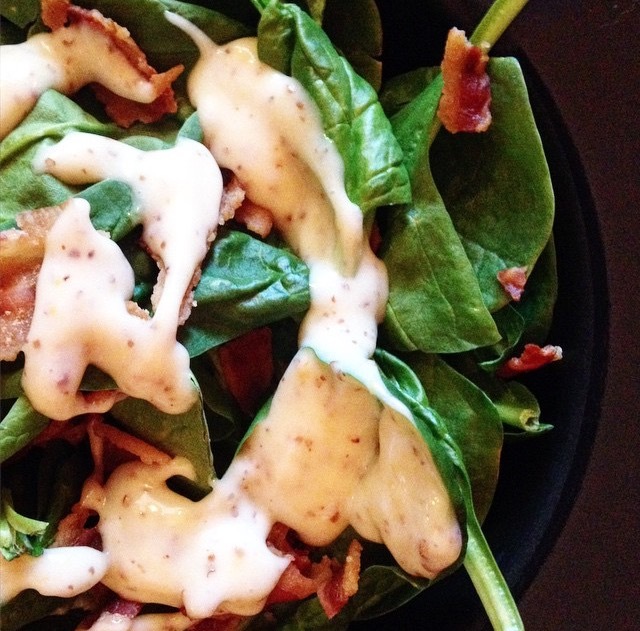 If you make the Dutch Lettuce and are feeling extra naughty, save some of that bacon grease and whisk it in with the dressin’, you won’t regret. Spiegelau IPA glasses at 515 Brewing Co.